"In this classic documentary, the Kalahari Bushmen [aka Khoisan, !Kung, San] of Africa wage a constant war for survival against the hot arid climate and unyielding soil. The Hunters focuses on four men who undertake a hunt to obtain meat for their village. The chronicle of their 13-day trek becomes part of the village's folklore, illustrating the ancient roots and continual renewal of African tribal [sic.] cultures." But The Hunters hunt, and, for the most part, The Desert People do not. Tau would go into a long, deep trance when he served his people as a "medicine man"
"From the ceaseless labors of the women pecking and tugging at the land comes most of the peoples' food." "Hunting is the work of men, their passion, and the passion of the boys." Note how the video portrays the individual personalities of the four hunters. When they came upon the kudu that had been eaten by the scavengers they broke the bones and ate the marrow. At night they were only 7 miles from where they were that morning, but they had walked more than 30 miles. 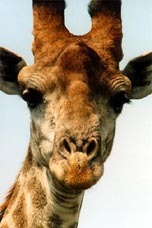 Since it was an old man, Gau, whose arrow had first wounded the giraffe it was his job to distribute the meat to those who were not family to the hunters. He gave to his closest kinsmen. And they in turn gave to their kinsmen, "and the meat spread across the wert as a ripple across water, until in the afternoon everyone was cooking and eating meat," so that by afternoon, everyone was cooking and eating the meat. Note the discussion of the hunt: "Old men remembered, and young men listened, and so the story of the hunt was told." 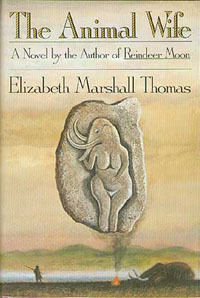 The large stomachs of some of the people in the film are not due to kwashiorkor, "a malnutrition disease, chiefly of children, caused by severe protein and vitamin deficiency and characterized by retarded growth, changes in pigmentation, potbelly, and anemia"
they call themselves zhun/twasi, "ourselves"